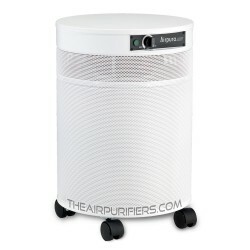 AirPura P600 Plus takes the AirPura P600 Photocatalytic Oxidation air purifier to the next level. AirPura P600 Plus employs the AirPura specialty True HEPA filter with Titanium Dioxide coating. 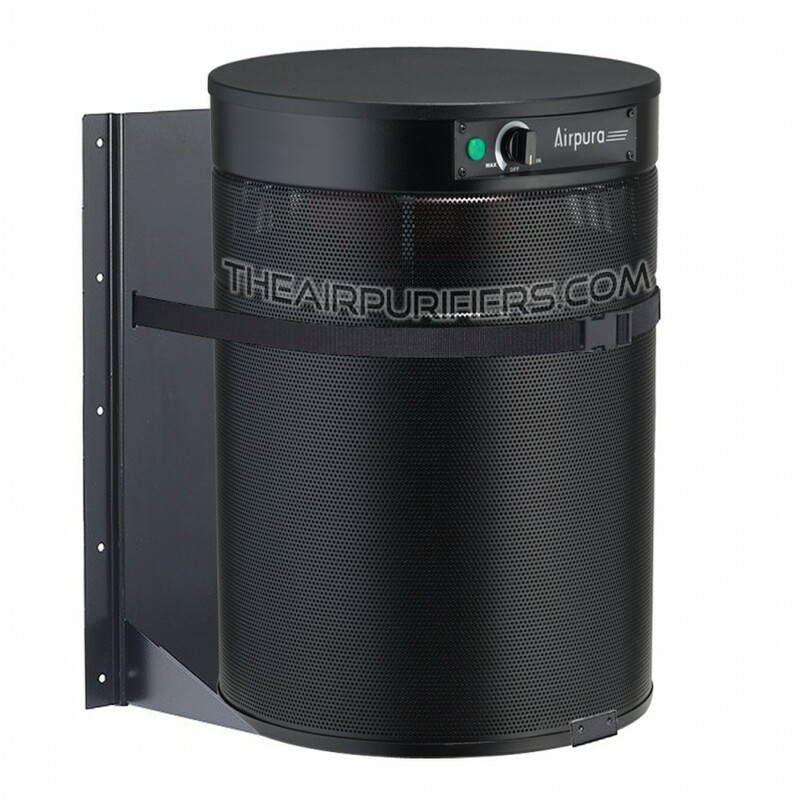 It boasts 3 times the Photocatalytic Oxidation capacity of AirPura P600 model and makes the AirPura P600 Plus the ultimate air purification machine to deal effectively with high levels of hard-to-remove specific chemicals. 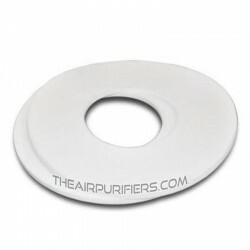 AirPura P600 Plus - When to Use? True HEPA filter with Titanium Dioxide Coating. AirPura P600 Plus employs specialty True HEPA filter. Besides from trapping over 99.97% of all microscopic airborne contaminants down to 0.3 micron in size, it also plays an important role in Photocatalytic Oxidation process. Its internal surface exposed to the UV bulb is sprayed with Titanium dioxide coating. This renders three times the Photocatalytic capacity of AirPura P600 model and gives a significant boost in overall Photocatalytic capacity. Optional Super HEPA filter with Titanium Dioxide Coating. The users of AirPura P600 Plus model can opt for the Super HEPA filter instead of the standard True HEPA filter. The Super HEPA filter has a 99.99% air filtration efficiency vs. 99.97% for the True HEPA filter and therefore, provides a better protection from microscopic allergens and dust. The same P600 Plus model equipped with a Super HEPA filter get s designated model number P614 Plus. 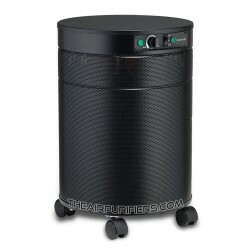 The AirPura P600 Plus carbon filter contains large amount (18 lbs.) 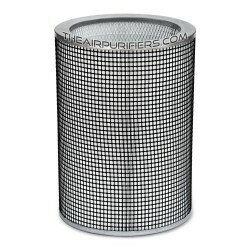 of regular activated carbon adsorbent (choice of coconut shell or anthracite) to ensure fast and effective removal from the air of all regular chemical substances and noxious odors such as: cuisine odors, pet odors, musty basement odors, chemicals in cigarette smoke, smoke from wood burning stove. household chemicals, and many more. Photocatalytic Oxidation Unit (similar to AirPura P600). Consists of High output Germicidal UV bulb and "TitanClean" Titanium dioxide reflector. 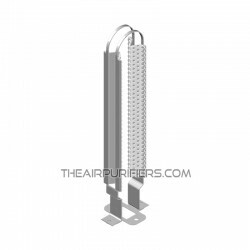 The Germicidal UV bulb provides the most effective and speedy sterilization of the air from airborne pathogens and antigens. The sterilization power of the Germicidal UV light is 1,600 times of a direct sunlight, and therefore is extremely lethal to airborne pathogens: viruses, bacteria, microbes, germs fungi, etc. The Titanium Dioxide Reflector in conjunction with the UV light activates the Photocatalytic oxidation process. 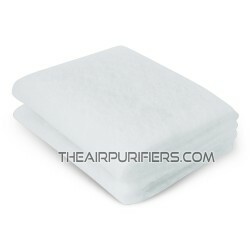 The optional unbleached pesticide-free cotton pre-filter is available for concerned air purifier users and individuals with elevated chemical sensitivity. The AirPura P00 Plus features top and bottom Felt Gaskets. Felt gaskets are used to pressure seal the filter chamber and eliminate polluted air by-pass for increased performance and the overall air filtration efficiency. The use of felt gaskets instead of common closed-cell rubber gaskets helps minimize the toxic off-gassing from the unit. AirPura P600 Plus Motor Fan Assembly. AirPura P600 Plus is powered by the same high quality, energy efficient Motor/Fan unit with variable speed control. The AirPura P600 Plus can be equipped with optional motor/fan and power cord for use with 220-230 Volts, 50 Hz power supply per customer's specification at Extra cost. AirPura P600 Plus features a unified for the entire line of AirPura units impact resistant the all metal housing made of galvanized perforated steel. The appliance quality baked-on powder coating is a scratch, scuff and stain resistant. 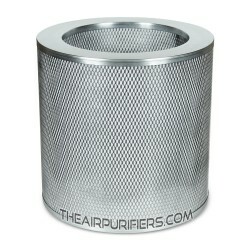 The metal housing with powder coating is totally inert and produces no toxic off-gassing. The 360° Polluted air intake (lower deck of the unit) and 360° Clean air outlet at the top deck of the unit improve the overall air purifier performance and reduce noise. The four Wheel Casters on the bottom panel ensure an easy mobility of the air purifier. AirPura P600 Plus Manufacturer's Warranty. AirPura P600 Plus air purifier comes with the most comprehensive limited manufacturer's warranty. It gives the AirPura P600 Plus air purifier owners a peace of mind. - 5-Year Full Warranty on Parts. - 10-Year warranty on Labor (the more expensive part of the total repair cost).